The St. 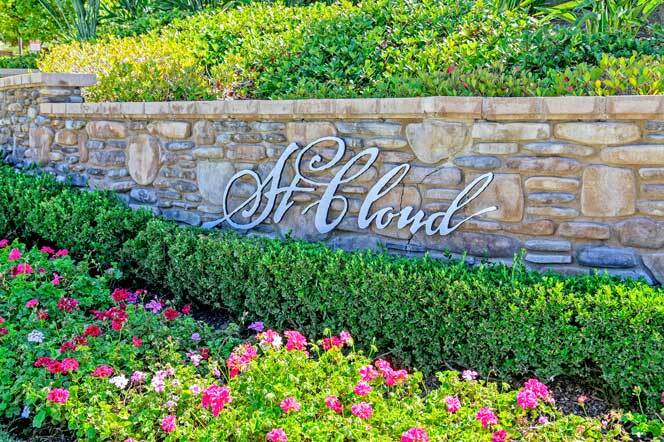 Cloud neighborhood is a gated community near the Ivey Ranch and Rancho De Oro area of Oceanside, California. The townhouses in this complex were built in 2007 and built in the Bungalow architectural style. The community does have some history of units being hard to sell as they were built just as the real estate market started to go down here in Southern California. Since then much has changed and the units are now selling at affordable rates and offer a resort style environment. Taylor Morrison home builder has recently started to build homes in the St. Cloud community in 2016. Known as "The Cottages" that are attached townhouses that feature vaulted ceilings with open floor plans that combine the kitchen and living room spaces. Real Estate prices currently start in the mid $400,000 to low $500,000 range. The neighborhood has a very grand entrance with a guard shack and manually operated gate as you enter into the community. Once inside there is a large community clubhouse that features a large resort style swimming pool and fitness center. The inventory is very low as many units do not come up for sale at any give time. Expect to find real estate prices in the mid $300,000 range for a three bedroom, three bath townhouse. For additional information on the St. Cloud community please call or email us today.